A warm welcome awaits you at The Plough, Great Shelford, near Cambridge. 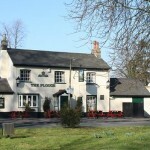 The Plough is a friendly, traditional public house full of character. 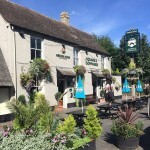 Longbow in Stapleford has a beer garden. The pub has a function room that can be booked, it has an outside area. Longbow has DJ's. The pub has karaoke, it has a pool table. Longbow has a big screen. The pub shows football on TV, it has Sky Sports. Longbow has terrestrial TV.